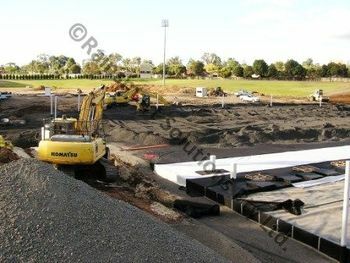 Sports field Water Harvesting & Resue. 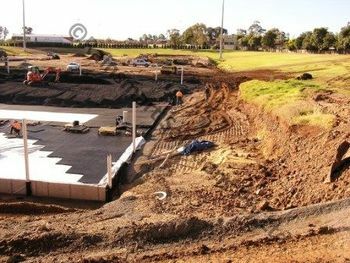 Sports field consume million of litres of fresh water every year, the drainage systems for sports fields are based on the principles of gravity and capillary action. Rainsmart Sports field Drainage system is combination of 30mm Nero Drainage Cell and Ellipse Tank Modules, which allows play in extreme weather conditions. 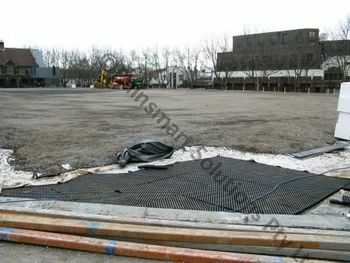 The system provides instantaneous access water removal and stores it underground for future use. The Nero Drainage Cell forms a uniform blanket or strips for sub-surface drainage under the playing area. This provides effective water removal from the playing surface at an acceptable rate while creating a perched water table that promotes sustained healthy growth of turf and allows immediate use of the field after a rain event. 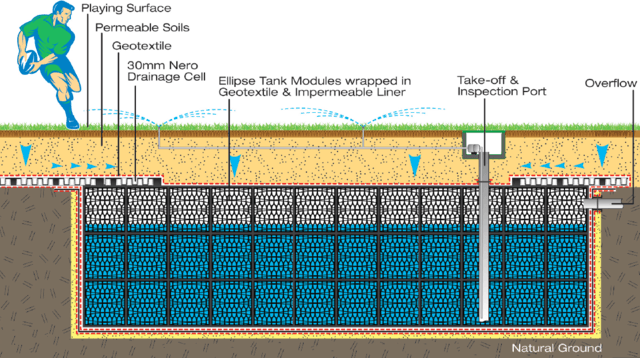 This drainage cell layer is simply connected to an Underground Storage Tank comprising of Ellipse tanks wrapped in an Impermeable Liner to store water for future irrigation needs. The system also reduces contamination of local waterways from leached nutrients. A simple storage and reticulation system can provide recirculation of irrigation water thereby drastically reducing imported fresh water for irrigation. Water collected will be of sufficient quality to allow immediate pumping without further filtration. 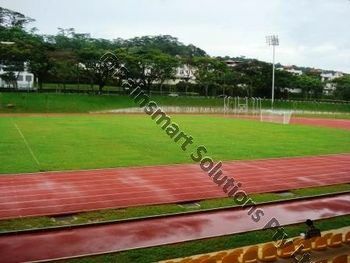 The system also allows continuous circulation of dissolved fertilizers and replaces the need of additional chemicals.